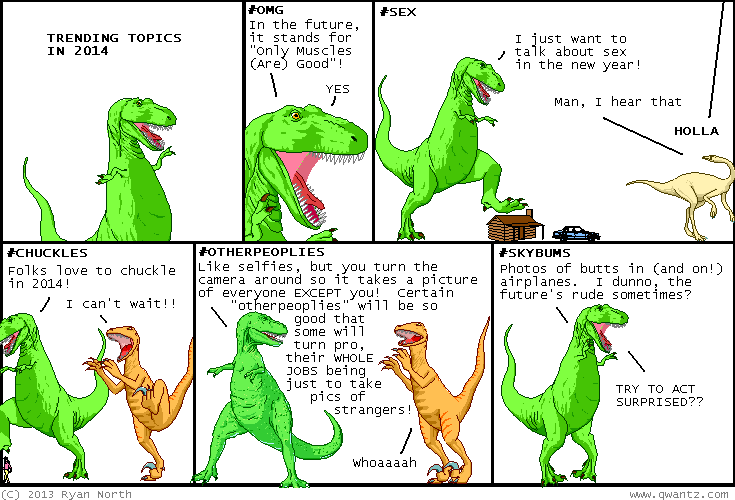 Dinosaur Comics - December 19th, 2013 - awesome fun times! December 19th, 2013: Thanks to everyone who came to the Holiday Party last night! Me and Katie hosted with our two SPECIAL SURPRISE GUESTS: Andrew "MS Paint Adventures" Hussie and Nick "Perry Bible Fellowship" Gurewitch. IT WAS PRETTY AWESOME, YOU GUYS! It was also a launch for The Midas Flesh, the comic I wrote with my Adventure Time artist pals drawing, and I am really excited for you to read it! 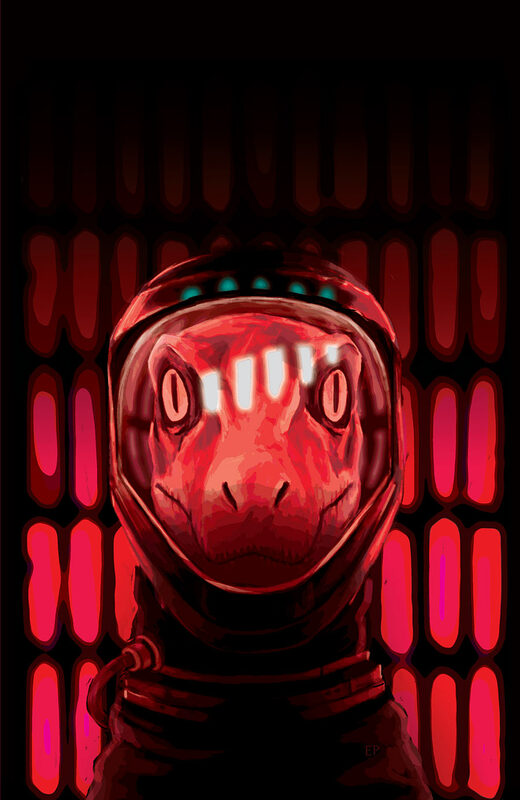 Yesterday I mentioned the places you can buy it in the real world - but you can also get it digitally on Comixology!